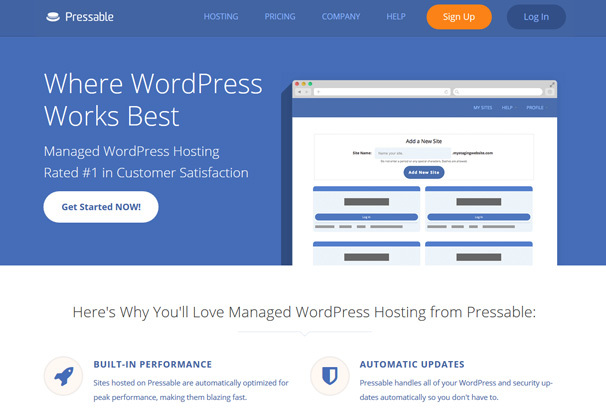 Looking for the best hosting for your WordPress site? We have compiled what we think is the ultimate guide to all aspects of WordPress Hosting, the article is broken down into 3 parts so use the links below to jump to your chosen part. In each section we give you the top 3 hosts, along with pricing and other details and then we go into more detail about each host. Please some hosting companies are added to more than one section. 1.2 What is Managed WordPress Hosting? 1.14 What is WordPress hosting? 2.2 What is budget WordPress hosting? 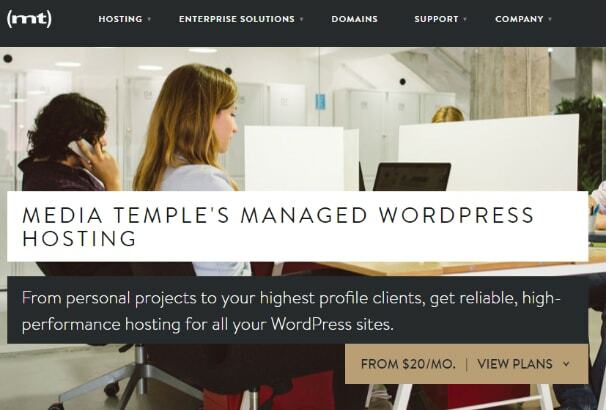 Is managed WordPress hosting for you? In this post, you’ll learn what managed WordPress hosting is, its pros and cons, and who the best managed WordPress hosts are. If you can’t wait, you can skip to read about each hosting company covered with these links or view our best hosts table below. If you’re looking for a quick summary of which we think are the best WordPress Managed Hosting in 2017, use this quick summary table – we have also included coupon codes so you get a discount on your chosen host. Otherwise, dig in below for more details. Managed WordPress hosting is all about one thing – taking the headache out of running your WordPress site. It has everything your normal host offers but with a boatload of features dedicated specifically to WordPress. Your host will take care of all the technical details of running your WordPress site. No need to worry about stuff like installation, security, plugin updates, site speed, and uptime. It’s all taken care of by the experts at your managed host. What’s that mean for you? You’re entirely free to focus on creating content and marketing your website. So, if doing things like optimizing caching and maintaining the security of your site sound like a chore, you should definitely consider managed WordPress hosting. Speed – Site speed is an essential part of user experience and a factor in Google’s rankings. It’s definitely something you need to optimize for your site. Managed WordPress hosts are configured to maximize WordPress’ speed by enabling things like server level caching, CDNs, and more. Security – WordPress’ massive success has also made it an attractive target for hackers. Managed WordPress hosts know this and keep your WordPress site protected from hackers and DDoS attacks. Most feature malware scans, intrusion detection, and WordPress-specific security modifications. Expert support – when you go with managed WordPress hosting, you know that your support team will be a bunch of WordPress experts. They’re not generalists with basic WordPress knowledge – providing great WordPress support is literally their only focus. They’ll be able to solve problems faster and provide expert advice. Updates – Unlike regular hosts, managed WordPress hosts will automatically update your WordPress whenever a new version is released. Some will even update your plugins. No more outsourcing or worrying about running an out-dated version. Backups – Rest easy knowing that you always have a backup of all your content, themes and plugins. Managed WordPress hosts will automatically back up your site and create restore points in case anything ever goes wrong. Uptime – Your site will always stay up, even if your traffic spikes from going viral or getting featured in the news. Managed WordPress hosts have rock solid uptime and can scale with the amount of traffic your site gets. WordPress specific features – Many managed hosts provide WordPress specific features that make your life easier. One common feature is staging areas – where you can easily view any changes to your themes or plugins before publishing them to the live version of your site. More expensive – Unfortunately, all the nice features listed above don’t come for free. To get them, you’ll be paying a slight premium over most regular hosting providers. Whereas cheap shared hosting plans can start around $4 per month, with managed WordPress hosting you’ll usually be looking at around $20-30 per month for the cheapest plans. Limitations on plugins – in order to optimize your server, some managed hosts may not allow you to install specific plugins that will bog down your server. If you really want that specific plugin installed, you might get annoyed. Of course, they’re just looking out for your best interests, but you do give up 100% control with managed hosting. Now, let’s dig into the seven best managed WordPress hosts. Any one of these companies will be great for hosting your site – just find the specific features you think are most important. 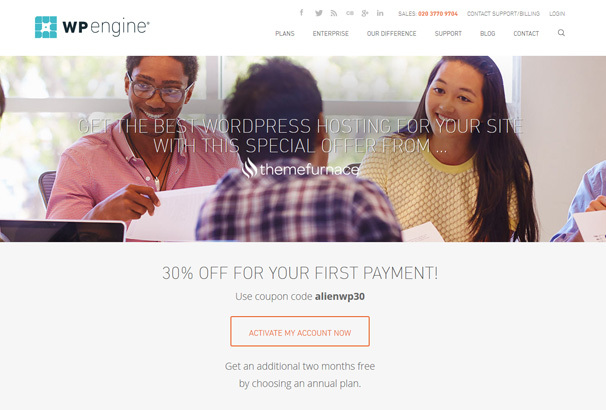 WPEngine is one of the most popular managed WordPress hosts out there. They’ve been around since 2010 and their entire brand is focused exclusively on managed WordPress hosting. Major brands like Soundcloud and Yelp use WPEngine, so even the pros trust them. They’re not just for big brands, though – tons of ordinary users praise them in reviews. One click restore points – if anything ever happens to your site, you can just click on a restore point to automatically restore things to a time when they worked. Staging Area – you can avoid breaking things in the first place with WPEngine’s staging area – it lets you preview changes to your themes or plugins before you release them on your live website. Built-in caching – No need to mess around with caching plugins. WPEngine comes with their proprietary Evercache system built-in. Security – Multiple firewalls and malware scans keep your site safe. Speed Report – get speed performance data and recommendations for any page on your site. 24/7 support – get 24/7 support from US-based WordPress experts. Easy CDN integration – WPEngine makes it super easy to integrate your site with a CDN. Prices start at $29 per month for their personal plan. You can use our Coupon for 30% off your first payment, that’s 4 months free when paid annually. SiteGround offers feature-packed managed WordPress hosting at a much more affordable price-point than many other hosts. If you’re on a budget but still want access to the benefits of managed hosting, you should definitely give SiteGround a look. One thing to note – they do limit some features on their most basic plan. Double-check to make sure the plan you sign up for has everything you need. One Click Installer – install your site with just one click. WordPress staging area – check changes to your themes or plugins before they go live. Note – not available on their cheapest plan. Automatic upgrades – with SiteGround, your site will always be running the latest version of WordPress. SuperCacher – 3 levels of caching to make sure your site runs blazing fast. Note – not available on their cheapest plan. Multiple data centers – SiteGround has data centers on 3 different continents, so you can pick the one that’s best for you. 24/7 support – SiteGround is known for their super fast response times. Like responding to support tickets in under 10 minutes. SiteGround’s cheapest plan starts at $9.95 per month but doesn’t have all features. The cheapest plan with more features starts at $14.95 per month, which is still very affordable for managed WordPress hosting. 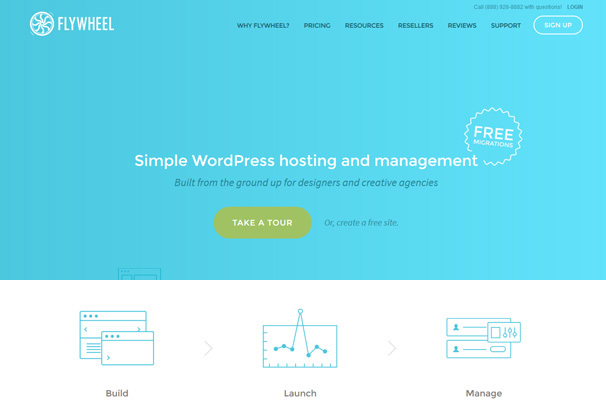 Flywheel is a managed WordPress host that’s built specifically for designers and creative agencies. They go beyond merely hosting your site and also provide tools that can improve the workflow of designers and creatives. You can easily collaborate with clients and then transfer billing to them when their site goes live. Daily backups – Flywheel automatically backs up your site every night. Robust security – Your site’s security is constantly monitored. If you do get hacked somehow, then Flywheel will fix it for free. Automatic caching – They automatically handle caching so your site runs fast without any effort. Easy SFTP – Flywheel has a simpler way to manage SFTP to make life easier for designers and developers. Expert support – Flywheel offers expert support, as well as 24/7 emergency support. Flywheel starts at just $15 per month for a single site. Keep in mind that on their cheaper plans, they will charge extra for adding a CDN. They also offer bulk plans for freelancers and agencies. Use our coupon code for 20% off and 2 months free. Pressable, previously known as ZippyKid, is a managed hosting provider that utilizes Rackspace hardware. They boast all the standard managed hosting features at a reasonable price-point. Caching – Pressable includes built-in caching and other performance upgrades. Automatic updates – they handle all updates for your WordPress site. Traffic scaling – great for going viral – if your traffic experiences a sudden jump, Pressable can scale up to 20x your daily traffic. Expert support – Pressable has expert support available 24/7. Nightly backup – they back up your site every night so you’re never at risk of losing anything. Security – malware scans and intrusion detection keep your site safe. Staging sites – Pressable lets you clone your site with one click so that you can easily test changes. Pressable starts at $25 per month for up to 5 websites. Media Temple is a solid managed hosting provider. They’ve been in the hosting business for a long, long time, but their managed WordPress service has only been around for a couple of years. Automatic daily backups – keeps you safe from losing data. WordPress core updates – Media Temple always keeps your WordPress core up-to-date. Developer tools – staging areas, GIT integration, and more. Server-level caching – Media Temple has caching built-in at the server level. 24/7 expert support – get expert help whenever you need it. Media Temple starts at $20 per month for up to 2 websites. 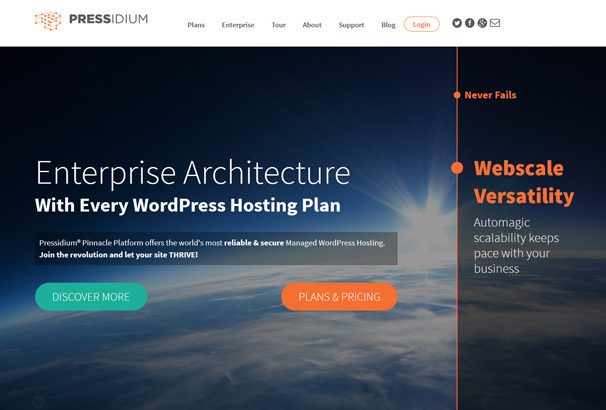 Compared to someone like WpEngine, Pressidium is a bit of a newcomer to the managed hosting game. But with an emphasis on reliability, speed, and security, they’re quickly moving up in the ranks of managed hosts. Auto-updates – stay up-to-date with automatic updates. Security – Pressidium includes malware monitoring and removal, firewalls, and bot filtering. Automatic scalability – your hosting grows as your website grows. Automatic backups – keeps your data safe. One click staging sites – preview your site before you make any permanent changes. Speed optimizations – Caching, CDN support, image optimization, Geo DNS, and more. Expert support – experts are always available to help. Pricing starts at $49 per month for their personal plan, which allows up to 3 websites. Do you really need managed WordPress hosting? We can’t answer that definitely, but if the above features intrigue you and you want to take the hassle out of managing your site, then you should definitely give it strong consideration. You’ll be paying a small premium, but remember that you’ll also be saving tons of time. For most people, paying an extra $20 per month is worth it for the time they save. There’s also no risk – most managed WordPress hosts offer free site migrations, so it’s easy to get started without spending any of your own time transferring your site. Our recommendations for a Managed Hosting company are WPEngine, Siteground and Flywheel – we have personally tested all three and maintain active accounts with them. They are well known in the WordPress hosting niche and have proven over time to be reliable hosts with excellent customer support should you need it. If you’re looking for a quick summary of which we think are the best WordPress Hosting in 2017, use this quick summary table – we have also included coupon codes so you get a discount on your chosen host. Otherwise, dig in below for more details. WordPress hosting comes in two forms: regular hosting and managed hosting. The specific features you’ll get depends on which you choose. Managed offers many more features, but at a higher price tag. It usually includes built-in speed optimizations like caching and CDNs, automatic upgrades, specific WordPress security tweaks, and more. Regular WordPress hosting still includes things like one-click installs and some other optimizations but typically lacks the full list of features offered by managed WordPress hosts. Regular WordPress hosting is also a heckuva lot cheaper than managed WordPress hosting, though. If you don’t mind handling things like caching and security yourself, then regular WordPress hosting will provide you with basic WordPress-specific features at a much lower price than managed WordPress hosting. One-click installs or pre-installed WordPress – no matter if it’s regular or managed WordPress hosting, both make it extremely easy to install WordPress and get started building your site. Great support – when you go with WordPress hosting, you’ll usually have access to support from WordPress experts, instead of hosting generalists. Speed and security improvements – if you go with a managed WordPress host, they’ll automatically handle optimizing your site’s speed with things like server-level caching and CDNs. They’ll also make sure everything stays safe with security features like malware scans and intrusion detection. Easy plan upgrades – Most regular and managed WordPress hosts make it easy to upgrade your hosting to scale alongside your website. As your site grows, you can upgrade your hosting to grow with it. WordPress updates – All managed hosts and some regular hosts will automatically update your WordPress so that you’re always running the latest version. The price of managed hosting – if you go with a managed host, you’ll definitely be paying a premium for the features they offer when compared with a regular WordPress host. Most regular WordPress hosts don’t cost much more than normal shared hosting. With the huge success of WordPress, many hosting providers have popped up with specific hosting offers geared towards WordPress users. These hosting packages include specific features that streamline things for WordPress users and offer WordPress-specific tweaks and optimizations. Below, we’ve included the eight best WordPress hosts. We’ve included both managed and regular hosts so that you can pick the one whose features and pricing best fit your needs. WPEngine is one of the biggest managed WordPress hosts around. They exclusively offer managed hosting, so you know where their focus is. Their hosting is optimized to boost your WordPress site’s speed and security. They also offer 24/7 expert WordPress support and plans that scale as your site grows. WordPress staging area – you can easily preview any changes to your themes or plugins before pushing them to your live site. This helps you avoid breaking things. Security – multiple firewalls and malware protection keep your site safe from malicious attacks. One-click restore points – if anything does happen to your site, you can quickly restore it to a time when it worked properly with a single click. WPEngine’s personal plan is $29 per month. That includes 1 website and 25,000 visits per month. More heavy-duty plans go up in price from there. Bluehost is a popular provider offering regular WordPress hosting. Their plans are affordable while still including basic WordPress-specific features like one-click installs. They’re also on the official wordpress.org list of recommended WordPress hosts. Whenever you sign up for one of their hosting plans, you’ll get a free domain name as a bonus. Unlimited bandwidth/storage – Bluehost gives you as much space and data transfer as you need. One-click WordPress installation – it’s easy to install WordPress and get started. 24/7 expert support – get help whenever you need it with 24/7 expert support. Easy plan upgrades – as your site grows, you can easily upgrade your Bluehost plan to match it. Enhanced cpanel – Bluehost offers a custom interface built on cpanel to make managing your website and email a breeze. Bluehost’s most affordable plan starts at $3.49 per month and includes a free domain name. Prices go up from there. SiteGround offers feature-packed managed WordPress hosting at one of the cheapest prices available. Their plans come close to the price of regular WordPress hosting while still offering the benefits of managed hosting. Just keep in mind that their cheapest plan doesn’t include all of the managed features that the slightly more expensive plans offer. They’re still one of the best options when you consider how many features they offer for their price. 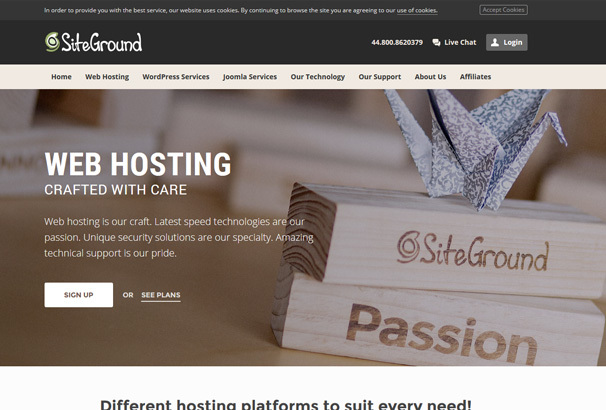 SiteGround is also on the wordpress.org list of recommended hosting companies. 24/7 support – get 24/7 support from WordPress experts. SiteGround is known for their incredibly fast ticket response times. SiteGround’s cheapest plan starts at $9.95. Note – the cheapest plan doesn’t include the SuperCacher or staging area features. You’ll need to get a slightly more expensive plan to enjoy those features. InMotion Hosting offers excellent budget hosting for WordPress sites. They don’t offer any managed features but make up for their absence with incredibly affordable pricing. They also include their proprietary BoldGrid system to make it easy for you to build your site. InMotion Hosting’s cheapest plan is $4.89 per month. It includes a free domain name. A2 Hosting is another budget WordPress host. They don’t offer full managed features, but all their plans come with WordPress pre-installed so you can start working on your site right away. Their servers are optimized for WordPress speed and some of their higher plans include their Turbo Server technology which can boost speed by up to 20X. Automatic upgrades – A2 Hosting automatically keeps your WordPress up-to-date, which is a feature usually reserved for managed hosts. Pre-installed WordPress – all plans already have WordPress installed. Malware monitoring – Hackscan monitoring protects your site from malware. A2 Optimized – A2 optimizes all their plans for free. 24/7/365 Guru Crew Support – support is always available. A2 Hosting’s cheapest plan is $3.92 per month for a single website. Arvixe offers quality WordPress hosting at an affordable price. All their plans come with a free domain name and pre-installed WordPress, making it a cinch to create your site. If you already have a WordPress site hosted somewhere else, they’ll transfer it over for free. Pre-installed and configured WordPress – WordPress is already installed and configured so you can jump right in. Scalable hosting – It’s easy to scale your hosting package as your website grows. 24/7 Support – Arvixe’s USA-based support team is available whenever you need it. Arvixe starts at $4 per month, which includes a free domain name. If you’re planning to launch a WordPress site, it makes sense to go with a host that’s already optimized for WordPress. Both regular and managed WordPress hosts are great options. If you’re looking to save money, regular hosting is an excellent solution. It includes all the basic WordPress features you need at an affordable price. If you don’t want to worry about things like caching and security, then you may want to consider one of the managed WordPress hosts instead. They’ll handle most of the technical details of your WordPress site so that you can focus on other things like content and marketing. We recommend Bluehost for regular hosting or WPEngine if you would like the benefits of Managed hosting. Is budget WordPress hosting for you? If you’re just getting started and don’t need a ton of bells and whistles, budget hosting should be more than enough for your WordPress site. Budget hosting is a great option to use until your site starts getting more popular, as long as you’re willing and able to handle things like updates and security by yourself. If you can’t wait, you can skip to read about each hosting company covered with these links or view our best hosts table below. If you’re looking for a quick summary of which we think are the best WordPress Budget Hosting in 2017, use this quick summary table, otherwise, dig in below for more details. What is budget WordPress hosting? Budget WordPress hosting is usually shared hosting that’s much less expensive than most managed WordPress hosting alternatives. In shared hosting, your website is hosted on the same server as other people’s websites. By pooling the server’s resources, budget hosting companies are able to offer rock-bottom prices. Budget WordPress hosting differs from regular shared hosting in that it still includes some WordPress-specific features like one-click installs or pre-installed WordPress. If you’re just getting started, you probably don’t need the full resources of a dedicated server, so shared hosting has more than enough power for you. There’s no point spending extra money on more power than you need. As you grow, most providers make it easy to upgrade to more powerful hosting to scale with your website. So, if you’re just getting started, definitely consider saving some money and choosing one of these top-rated budget WordPress hosts. Affordable – the major advantage of budget WordPress hosting is its cost. You can get plans for less than $4 per month. Yes, that cheap. You really can host your WordPress site for a month for the same amount you spend on a latte at Starbucks. One-click installs – most budget hosts will still let you install WordPress with just one click, which makes it super easy for you to get started. Some even come with WordPress already installed. Good support – the hosting companies we’ve chosen don’t skimp on support just because you’re on a budget plan. You can still get great general support, even if they’re not always specifically WordPress experts. Easy upgrades – most companies make it easy to upgrade to more powerful hosting options as your site grows. You’re never locked into your shared plan. Speed – though most will offer unlimited bandwidth, if you’re running a popular website you’ll need dedicated resources to maximize your site speed. If your site is brand new, you’ll probably still be ok, though. Shared memory – because you’re on a shared server, your site is sharing the server’s memory with every other site on that server. If those sites use up too much memory, your site’s performance could suffer for a bit. Limited WordPress specific features – whereas managed WordPress hosting provides lots of WordPress specific features like upgrades, backups, and security, most budget WordPress hosts don’t provide any of these services. You’re often trading a lower cost for fewer features. With that being said, some budget hosts do still offer automatic upgrades and some other features. Below, we’ve rounded up the seven best budget WordPress hosts. Check them out and pick the one that’s right for you. Bluehost is one of the biggest and longest-lasting hosting providers out there. They host a massive two million plus websites. They’re also on the wordpress.org recommended hosts list, which further adds to their reputation. As a bonus, you can get a free domain name when you sign up for one of their hosting plans. Unlimited bandwidth/storage – Bluehost lets you store and use as much data as you need. 1-click WordPress installation – no need to fiddle around setting things up. Easy scalability – whenever you need more space, you can upgrade your account with a single click. 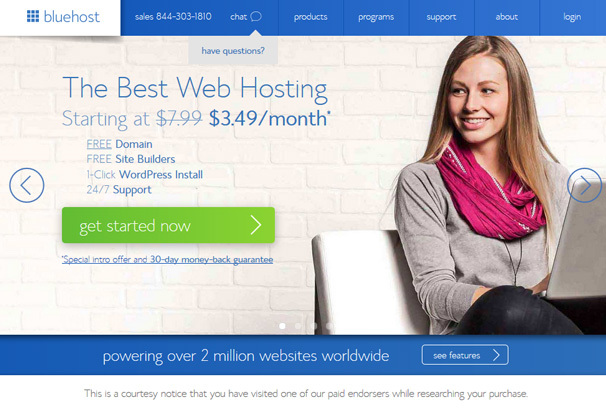 Bluehost’s cheapest plan starts at $3.49 per month and includes a free domain name. SiteGround is a bit of an anomaly in that they offer managed WordPress hosting for the price most hosts charge for unmanaged hosting. Their cheapest plan doesn’t offer 100% of the features available in their more expensive managed plans, but even the cheapest plan does include some managed features for a very affordable cost. Like Bluehost, it’s also an official wordpress.org recommended hosting company. 1-click install – SiteGround lets you install WordPress with a single click. Free migrations – if you’re already hosting your site somewhere else, SiteGround will transfer it over for free. Automatic upgrades – Even on the cheapest plan, SiteGround will automatically keep your WordPress core up-to-date. 24/7 support – SiteGround’s WordPress experts are known for responding incredibly quickly. Responses to support tickets in under 10 minutes are not uncommon. Multiple data centers – SiteGround lets you pick from data centers on 3 different continents. SuperCacher – 3 levels of caching to make sure your site runs blazing fast. This feature isn’t available on their cheapest plan. WordPress staging area – you can preview any changes to your themes or plugins before you publish them to your live site. This feature isn’t available on their cheapest plan. SiteGround’s cheapest plan starts at $3.95 per month ($9.95 per month after the promotional period). It includes a free domain name. Again, this plan doesn’t include all features, but it does have many aspects of managed hosting for a very affordable price. 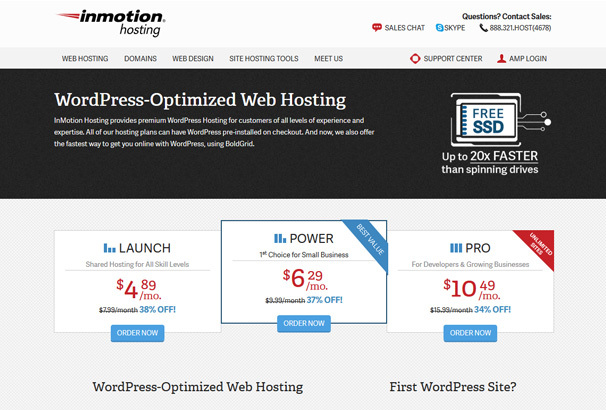 InMotion Hosting offers budget hosting for WordPress sites. All their hosting packages come with a free domain name and WordPress pre-installed. You can get started building your site right away with their BoldGrid system. Pre-installed WordPress – no need to even click a button – WordPress comes pre-installed. Safe updates – BoldGrid also makes upgrading your site safe – you can always roll back to a previous version if something goes wrong. 24/7 support – InMotion offers 24/7/365 support from staff located in the USA. InMotion Hosting’s plans start at $4.89 per month and include a free domain name. A2 Hosting offers budget WordPress hosting that comes with WordPress pre-installed. Their servers are optimized for speed and some of their higher priced plans offer an additional 20x speed with their Turbo Server option. Automatic updates – A2 Hosting automatically keeps your WordPress up-to-date. This feature is fairly unique for budget hosts. Custom WordPress login URL – A2 Hosting automatically gives you a custom login URL to protect your site from hackers. A2 Optimized – All shared plans are optimized for speed. Malware monitoring – A2 Hosting offers their Hackscan service for free. 24/7/365 Guru Crew Support – get expert help whenever you need it. 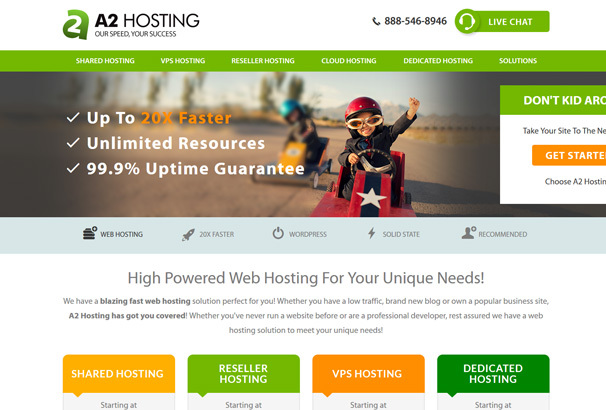 A2 Hosting starts at just $3.92 per month for a single website. Arvixe is another affordable option for hosting your WordPress website. Their plans are optimized for WordPress and come with a free domain name and pre-installed WordPress to get you started quickly and affordably. They’ll also transfer your website for free if you’re currently hosting it somewhere else. Optimized servers – Arvixe’s servers are optimized to maximize site speed for WordPress. Scalable hosting – it’s easy to upgrade to a bigger package as your site grows. Pre-installed and configured WordPress – your site comes with WordPress already installed and configured. 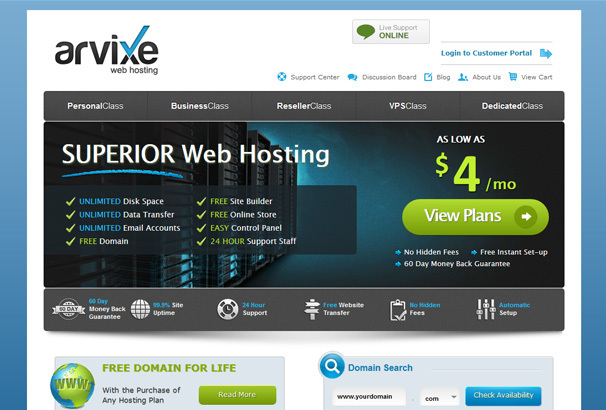 Arvixe’s hosting plans start at $4 per month and include a free domain name for life. They also offer a 60-day money back guarantee. 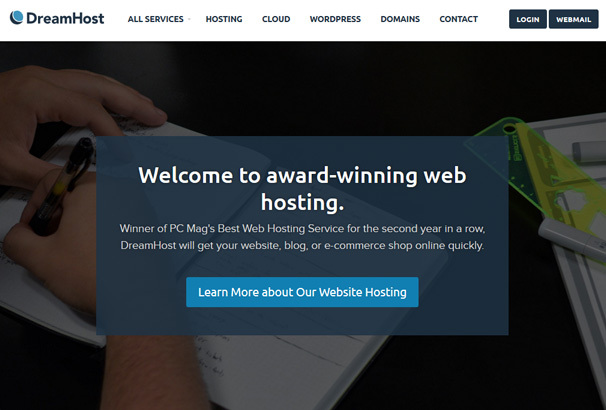 Founded in 1997, DreamHost is another long-established host who has moved into the WordPress game. They offer an affordable shared WordPress hosting plan, as well as a more expensive managed plan. Since we’re discussing budget hosts, we’ll be looking exclusively at their affordable shared plan. Automatic updates – all DreamHost’s WordPress plans include automatic updates. Again, this is fairly unique for a budget host. Unlimited plugins and themes – use whatever plugins and themes you want. No restrictions. 24/7 WordPress support – DreamHost is available with expert WordPress help whenever you need it. DreamHost’s cheapest WordPress hosting plan starts at $7.95 per month. Budget WordPress hosting is a great option for anyone starting their site. Until your site gets popular, it really doesn’t need high-powered managed hosting. As your site grows, you can always update your hosting to scale with it. Additionally, cheap WordPress hosting still offers some WordPress-specific features like one-click installs and automatic updates (sometimes). You’ll never get the total luxury of managed WordPress hosting, but, for the price, you can still get some great deals. Our pick of the best hosting companies for people on a budget are Bluehost, Dreamhost or Siteground. All these companies are long established and reliable hosts with a great track record of customer service. sonics and Beautiful ready to use graphics. Great resources with a good hosting provider mentioning, I would suggest you to update this article with more comparison and review.